Oh my damn!! 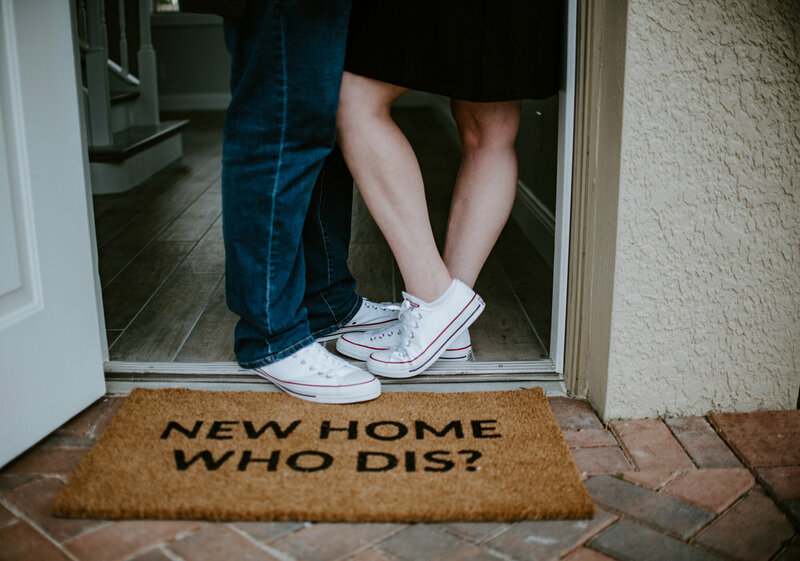 We have FINALLY found and bought our first home! (well....in June we did.) And when I say finally, it's legit. 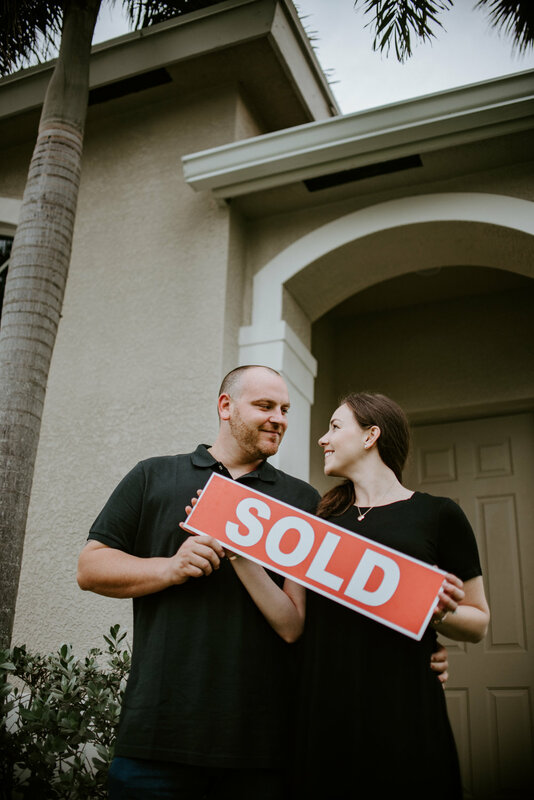 Michael and I have been together for 12 years (next week to be exact) and have never purchased a home before now. So when we found this house, we were really, REALLY excited! It was everything we have been looking for. It has a huge backyard (we have 3 doggies), a pool, 4 bedrooms, 3 baths, 2 stories, AND a nice big bathtub in the master.....uh, yes please! The wall color and the floors were exactly how I wanted, grey and white, plus it is in a secluded part of town so it's very quiet, which I love! With such minimal building there, the sunrises and sunsets seem to be more beautiful than in town, or maybe it's just me. But it is absolutely perfect! 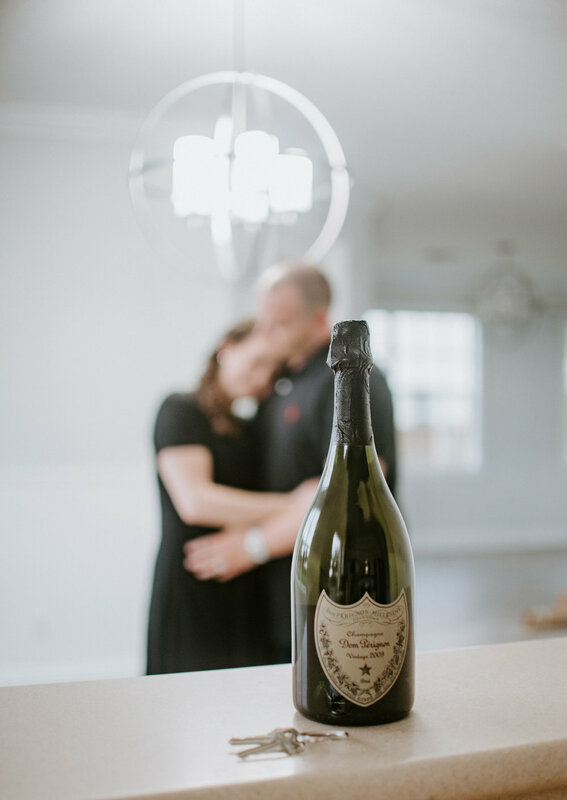 I knew how special this moment was for us, and so I wanted to truly capture it before the move in chaos began. We decided to do an "Empty House Photoshoot" after all the touch ups were completed. I was so excited for this and the photos were just perfect! 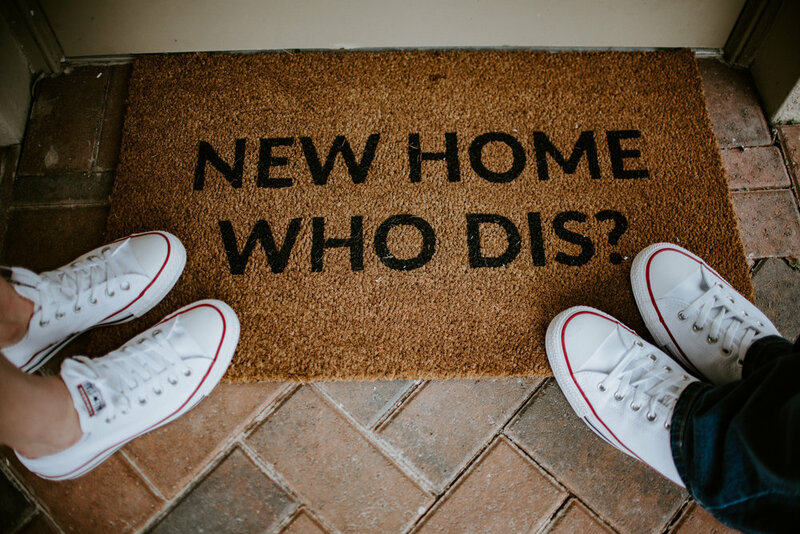 I purchased the SOLD sign on Amazon, and our "New Home Who Dis" mat on Etsy, I LOOOVEEE IT! I also purchased an Alohomora door mat from the same company. For the lighting, I purchased the Sea Gull Dome Chandelier from Amazon for the dining & sitting room downstairs and the Marilyn Chandelier for my master bedroom and my beauty room. I can't wait to see it all furnished and decorated. I will be doing room tours in the future once we complete the decorating process, which has been SOOO much fun thus far! But for now, here are the "Empty House" photos!